Pacific Gas and Electric has gone from Wall Street darling to bankruptcy, thanks to the $30 billion in liability from the fires that were started in California by its power-lines. But while any long-haul, high-voltage line carries some risk, especially in a tinder-dry, drought-ravaged, climate wracked region of California, the fires were not inevitable. Back in 2007, San Diego Gas & Electric was held liable for the Witch Fires and was forced to adopt measures to prevent fires. They worked. And PG&E had not adopted any of them. The difference? 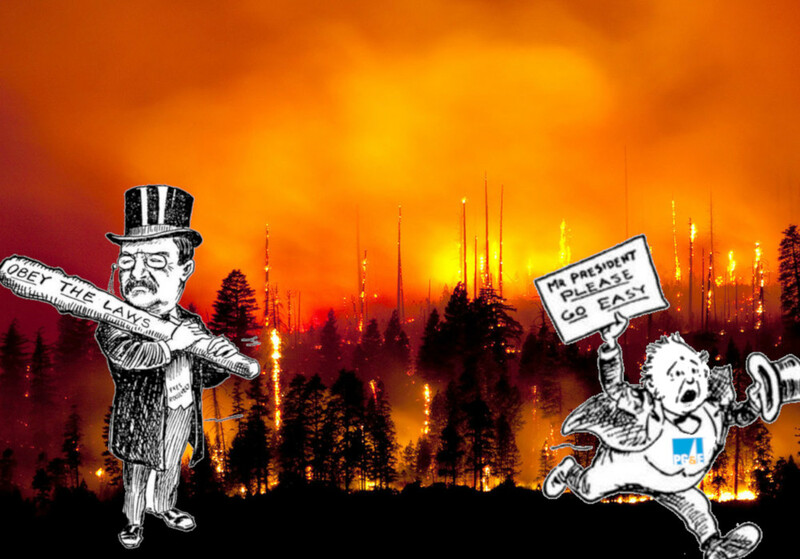 PG&E is a behemoth, whose lobbying might was a match for any regulator who attempted to bring it to heel: its ability to pay dividends to the investors who flocked to it was at odds with the need to spend big on fire-safety. But letting PG&E get away with (literal) murder was bad for everyone: the Californians who lost their lives, homes and property, and the investors who are now stuck with shares in a bankrupt company. History shows us how to cope with these problems. In the heyday of the railroad barons, trains would start fires wherever they went, thanks to the sparks flying out of their chimneys and off of their brakes. But as trustbusting became the norm and the railroads lost the ability to bully their regulators, they came to heel and made the necessary investments to make their engines safe. The policy levers that are available to us when companies get to choose whether they are willing to be regulated and how are weak and unsuitable. But once companies become accountable to regulators, we can divert money away from their investors until they make their products and services safe for the rest of us.